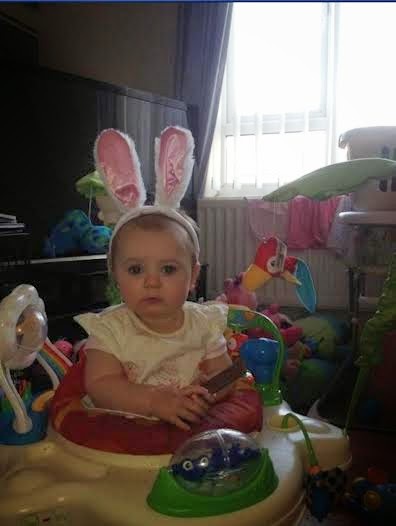 Last weekend was Easter and we had such a lovely time together as a family, it was Sophia's very first Easter. It was also the first Easter in a long time that both myself and the other half have actually had the weekend off from work. Also, last Easter I was actually in the hospital all weekend suffering from gallstones, so we decided to make sure that we had a nice weekend together as a family this year. 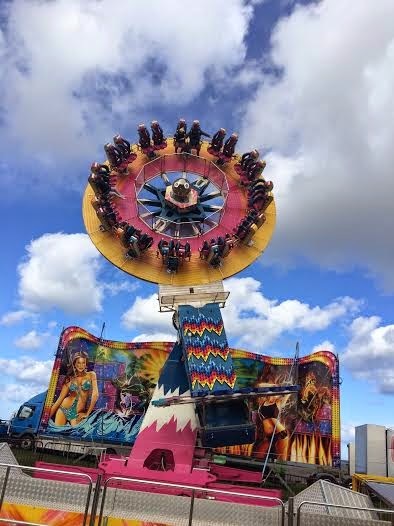 We started off our Easter weekend with a trip to the fair on the Thursday as every Easter there is a fair in Whitley Bay on the seafront. Chloe and Lee had a great time going on the rides even though she was a bit frustrated that I would not let her go on the upside down ones. I don't know if it is just me but I always have visions of her falling off or the ride falling to bits when she is on something scary at fun fairs, I really need to learn to chill out a bit. Sophia was obviously way too young to go on rides yet but she loved watching the rides going around and the flashing lights and was totally amazed by it all having a good look about. Chloe went on the hook the duck and won a Peppa Pig teddy for her, which Sophia fell in love with on sight and kept tight a hold of. We then had chips on the seafront and visited the arcade to play on the 2p machines and Chloe filled her self up with candy floss and sweets from the fair. On Good Friday we had fish and chips which is a must on good Friday and we visited family. 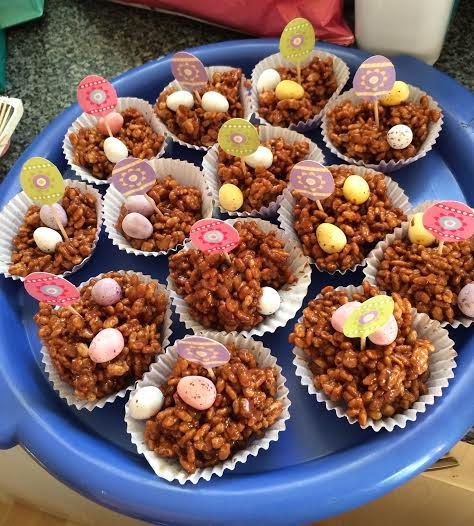 On Saturday lee had to work, so me and the girls had a lazy day at home watching frozen on DVD as both the girls love it, we made some Easter nests and painted some hard-boiled eggs. 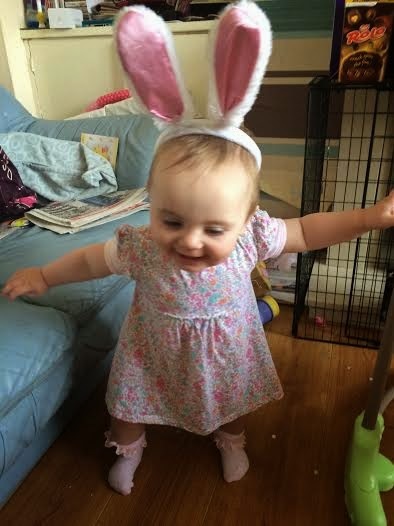 Then on Easter Sunday we had a lovely day at home just the four of us, we had a roast lamb dinner and watched films and Chloe ate lots of chocolate eggs and Sophia had some chocolate. We have only just started giving her it but she loved it, I think we might have a future chocoholic on my hands with her. 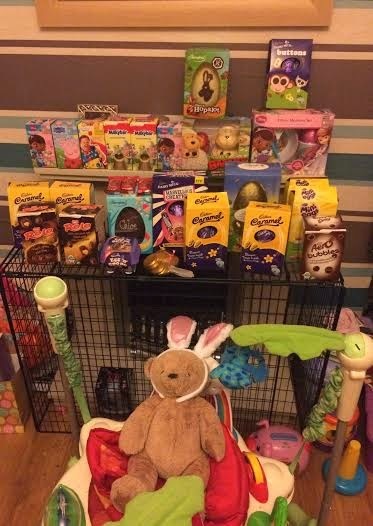 We did not buy the girl's much for Easter we got Sophia one egg and an outfit from next and we also got Chloe an outfit from next and 3 eggs. They were so spoilt of other people both girls ended up with about 15 eggs each which is crazy, with Sophia being so small so her daddy has been helping her to eat them. On bank holiday Monday Chloe went to my aunty's caravan for the day with her cousin so we just had a trip to the park with Sophia as it was lovely and sunny and she loves the swings. Sophia also started to walk properly over the weekend she had been taking one step and then sitting down but she has now started to walk across the room although she still likes to bum shuffle about more than actually walking as she is such a lazy baby at times. We had a really nice Easter weekend, I hope everyone else had such a nice and relaxing weekend too. Already Halfway There 20 Week's Pregnant! Sophia At 9 Month's Old.